This month I have been lucky enough to participate in the first blog tour for the Aussie based One Thimble E-Zine. 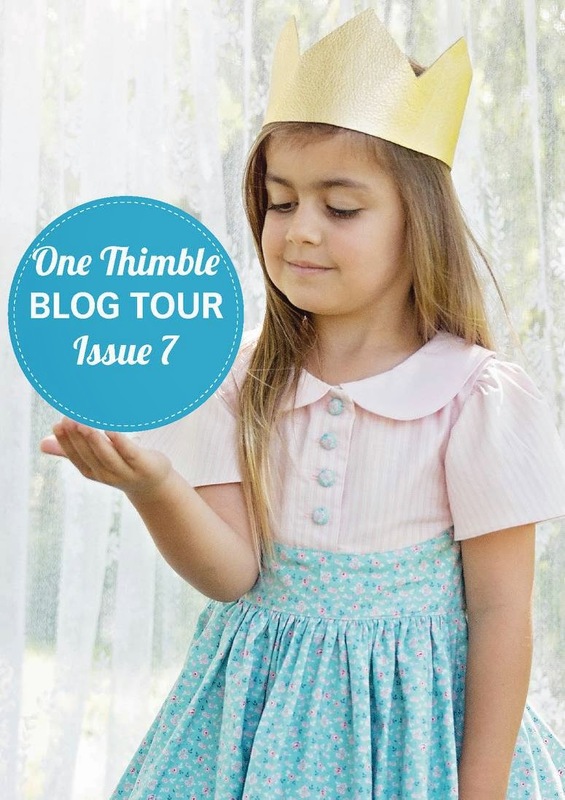 One Thimble is a great little online sewing magazine which has gone from strength to strength since it's launch in late 2013. This issue has some fabulous patterns, including the Amenity Top by Addie K.
This is a great comfy sweater that sews up very quickly. I spent more time choosing the fabric from my stash than actually sewing it! The sweater is designed in a baggy, batwing style and is very easy to wear. It comes with two options for the neckline, a lower one and a full turtle neck option, I used the lower neckline as I don't like the feel of turtlenecks. I chose a lightweight sweater knit with a textured finish, which I think gives it a slightly dressy feel. The pattern can also be made with any knit with 25% or more stretch. I am tossing up whether to make my next one from ponte or french terry. Hmmmm... toasty! The loose fit and easy movement make this the ideal top for chasing busy toddlers and bigger kids too. Just the thing for a busy mum like me! I love the fabric you used!! !